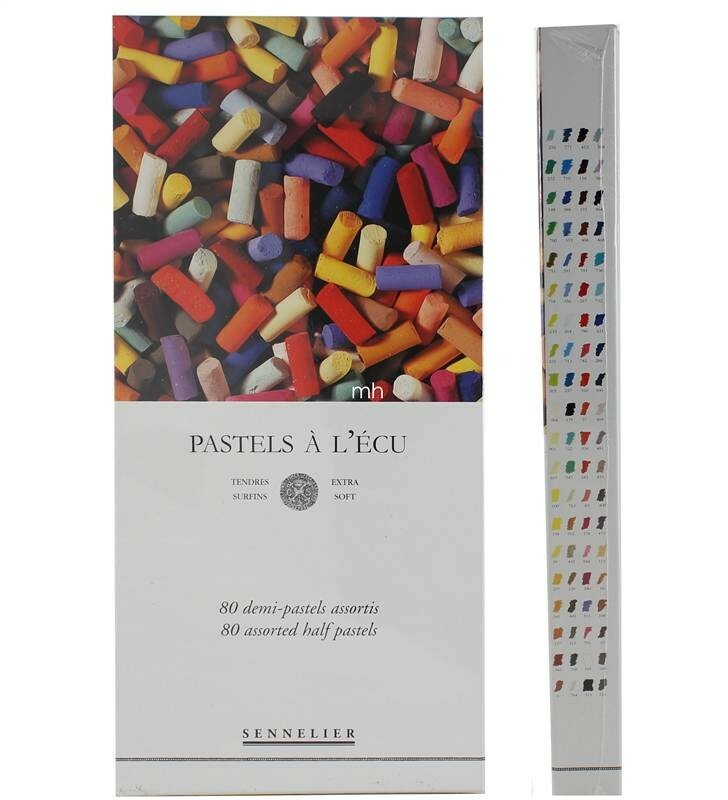 Sennelier 80 Assorted Extra Soft Half Pastels Sennelier's pastels are considered to be amongst the most vibrant and intense coloured pastels in the world. 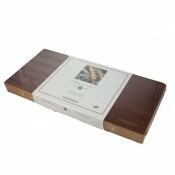 The pastels have a velvety feel and offer a variety of shades and tones which will complement any surface. 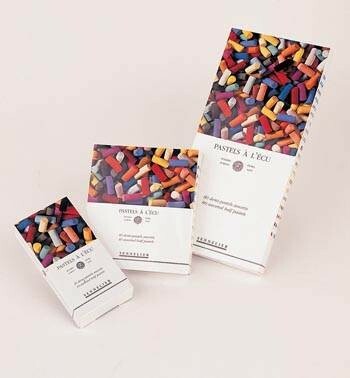 Due to the high level of concentrated pigments and absence of clay, these pastels are extremely lightfast and will create an intense line of colour with only a gentle press. 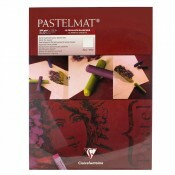 These pastels also contain 'Craie Champenoise' which helps to create a more varied shade of colour. Found only in Eastern France, this white pigment is well known for its smooth texture. Held together by a natural binder, these water soluble pigments hold an intense and beautiful colour. This great value set offers an introduction to Sennelier, making it appropriate for both professionals and beginners. The robust form of the pastel is perfect for applying a broad and striking stroke of colour.